Brood cow nutrition is a crucial part of a beef cattle operation. 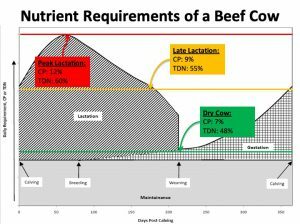 Between fetal programing and maintaining the proper calving interval, it is imperative for producers to pay close attention to the nutrients available in their forages, and if they meet the requirements of their herd. Posted in Livestock. Bookmark the permalink.